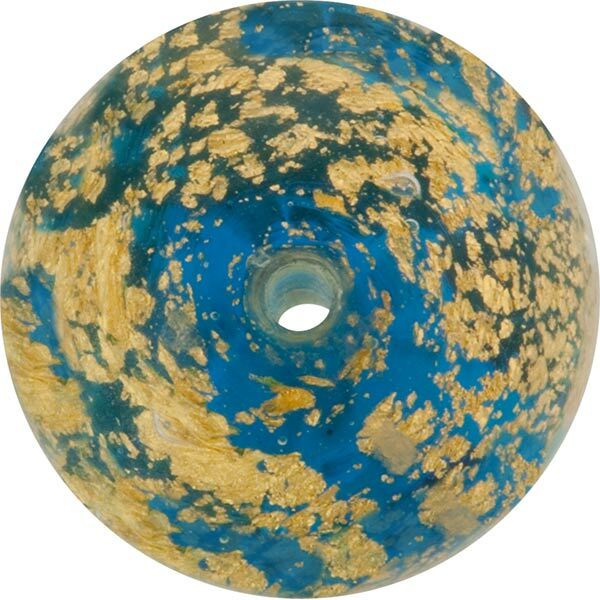 Venetian bead in the shape of a Round 30mm larger size, great for focal beads 1.5mm hole which runs through the center. Handmade using the famous Moretti Murano glass. 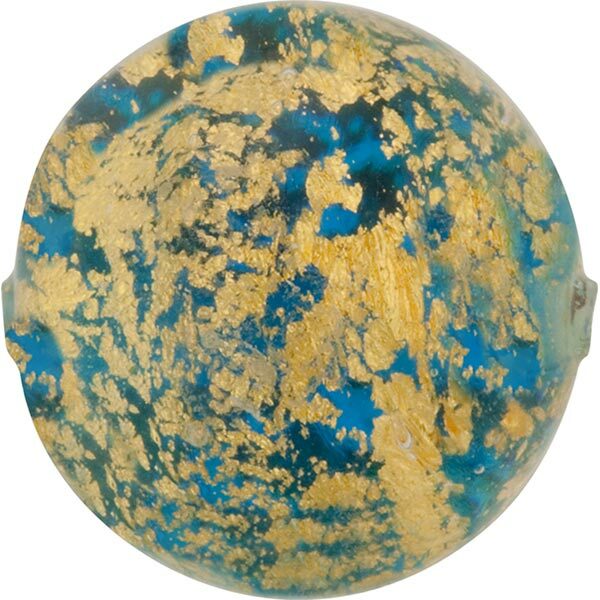 Transparent Aqua is wrapped in 24kt Gold Foil in the Ca'd'oro Style (also called Cracked Gold) and then encased in clear Murano bead.